Yes, you read correctly. My no-heat tutorial is up on YouTube and you won’t believe it until you give it a try! 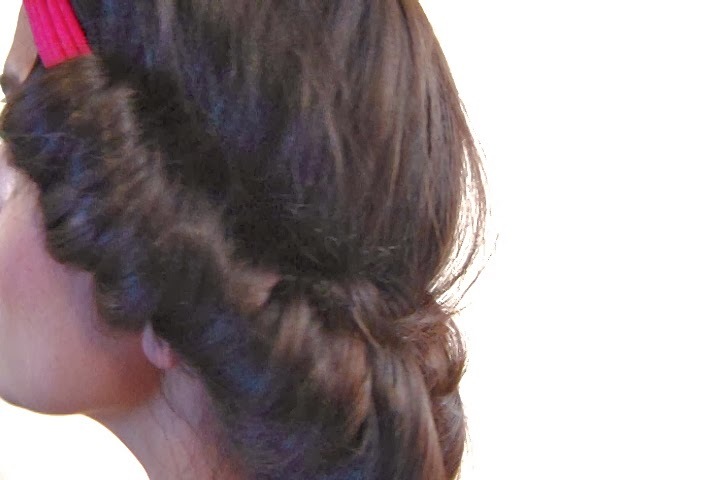 This is a easy hairstyle to do and such a time saver. I usually dry my hair about 80-95% of the way and then use this technique before I head to sleep. When I wake up…. BAM, I look like I spent the whole morning curling my locks. I make sure my hair is close to dry rather than damp because I have a ton of hair which takes FOREVER to dry naturally. As noted in the video you can achieve a curly look within an hour so it really depends on your lifestyle and what look you are trying to achieve. If you really want to get creative you can rock a cute beaded headband and make your hair tighter to go for a boho-chic look during the day. At night take off the headband and have ringlets, which I beyond love! Be sure to subscribe to my YouTube channel for more hair & beauty tips coming every Thursday!